Get the truth now to your most pressing issues and learn to take your personal power to create the life you want. Dont be mislead we create our destiny learn how to make life everything you want it to be. 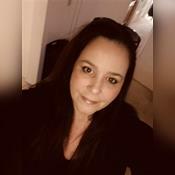 Marissa is a lifetime student of the esoteric arts and is a witch with extensive metaphysical knowledge who provides psychic readings, astrology readings, dream interpretation, tarot readings, Magick advice and life coaching. She is also firm believer in karma and all that represents and chooses her path with care based on these principles. As a solitary of the craft she has had the opportunity to fine tune her spirituality based on an eclectic variety of ancient practices and prides herself in acceptance of all beliefs even those that differ from her own. Her accumulated knowledge is vast and diverse and touches on many Magickal systems. She truly feels you need to find what works best for you and develop your Magick based on knowledge, respect and personal preference. Magick works best when it comes from the individual and not some prefabricated spell or ritual from a book. Hard work and dedication to the people she assists via psychic readings, life coaching and her empathic touch has allowed Marissa to help many see clearly through dark periods in their lives. She truly has a way of looking into the individual in need and helping them find peace and hope for their future. The word psychic is a buzz word that she is not crazy about as it is highly overused in her opinion but for lack of a better descriptive her psychic abilities are profound and she is proud to be from a long line of seers and Magick folk. She is a master with the tarot and quite adept at rune reading, scrying and channeling when need be as well as an amazing dream interpreter. The secrets of the dream realm and messages received are invaluable tool to decipher a life?s current condition and can almost always show someone how to face what they cannot face in waking life. Her psychic ability allows her see, hear and smell images from the past, present and future and also to see the ethereal plane when it chooses to expose itself to her. The images and messages received are always pertinent to the seeker but may not come to the seekers mind during a reading frequently she will receive calls many weeks later where the client is astounded by the accuracy of her psychic predictions. Marissa also has the gift of spiritual healing and can help a troubled soul find peace and transcendence. Finding balance with the mind body and spirit allows many to walk in light rather than the darkness found being out of harmony with the divine self. Finding this balance can be difficult especially when you are unsure of how to. She can and will help you with these challenges. Astrology is another favorite tool Marissa likes to use when helping people find themselves as intermediate student of astrology she can help you see how the stars helped create your personality at birth and how they affect you as you travel through your life. Please ask her about getting personal astrology charts and reports. Sin City Witch has been a user of Keen since 2001. Getting Otherworld Connections advice from Sin City Witch through www.keen.com is safe, secure and confidential.